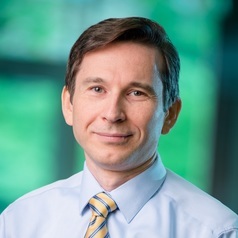 Dr. Alexander Kurov serves as Professor of Finance and Fred T. Tattersall Research Chair in Finance in the John Chambers College of Business and Economics at West Virginia University. Dr. Kurov’s research interests are in financial market efficiency, futures markets, commodity markets and behavioral finance. His work examines price discovery, informed trading and the effect of public announcements on asset prices. He is an associate editor of the Journal of Commodity Markets and holds the Chartered Financial Analyst designation.